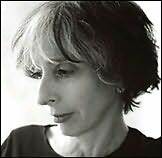 Deborah Eisenberg is an American short-story writer, actor and teacher. Eisenberg grew up in suburban Chicago, Illinois, and moved to New York City in the late 1960s. Her longtime companion is actor-writer Wallace Shawn. She teaches at the University of Virginia.